Museum-lovers will appreciate Sarkanniemi Theme Park and Vapriikin Museokeskus. Get in touch with nature at Hatanpaa Arboretum and Rauhaniemi Beach. Take a break from Tampere with a short trip to Hame Castle in Haemeenlinna, about 1h 15 min away. There's much more to do: take in the spiritual surroundings of Tampere Cathedral, examine the collection at Lenin Museum, and soothe aching muscles at some of the top local wellness centers. To see more things to do, photos, and other tourist information, read Tampere journey builder website . If you are flying in from United States, the closest major airport is Tampere-Pirkkala Airport. 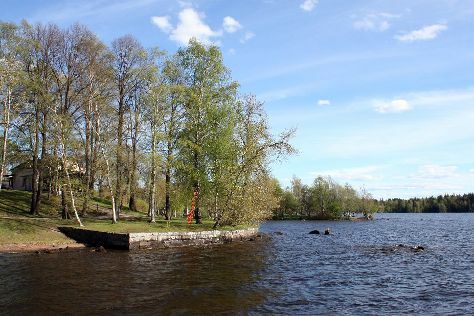 In July in Tampere, expect temperatures between 70°F during the day and 52°F at night. Finish up your sightseeing early on the 3rd (Wed) so you can travel back home.